We’d be pretty hopeless tree climbers if we didn’t absolutely love trees. 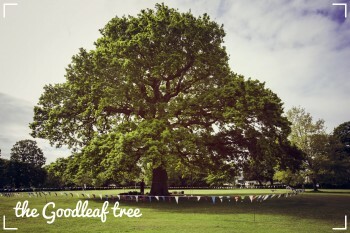 Our founder Paul is more than slightly obsessed with trees, so we thought we’d share a couple of his favourites from near and far! I absolutely love this veteran oak tree. 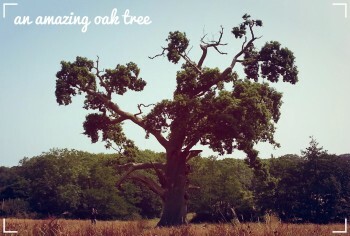 It has been retrenching (this is when the top of the oak dies off and starts to grow lower to the ground, thus regulating its growth) for years and is a great example of the life cycle of a tree right in front of you. I always like to check out how it’s doing when I drive past Quarr Abbey. I recommend taking a walk to this tree and giving it a hug; it’s brilliant. Well of course! We absolutely love our tree. Not only is it perfect for tree climbing, it’s also a wonderful example of a mature, beautiful Quercus robur (that’s the botanical name for an oak tree fact fans!). We’ve always had our eye on it and thanks to Isle of Wight Council, we can now climb it. We can offer such a variety of climbs in its boughs and fit two hammocks up there. It’s perfect for enjoying the great views over the Solent and south coast. Being a New Zealander, no tree list for me would be complete without a Pohutukawa and one of my favourites is this one in Auckland. Pohutukawa is the Maori name for the Metrosideros excelsa and this one is a brilliant example of how these trees touch down and reroot.Pohutukawa forests form by literally ‘walking out’ from a central tree. It’s also known as the New Zealand Christmas tree and this one is the largest example in Auckland. Absolutely gorgeous. 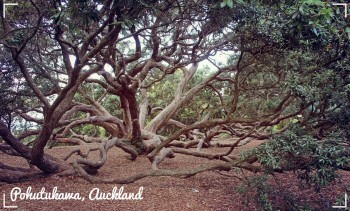 Thanks to Annie for letting us use her great Pohutukawa photo – have a read of her blog here.